Breaking the Silence › Testimony › Where I saw violence in Hebron? Text testimonies Where I saw violence in Hebron? Where I saw violence in Hebron? You’re asking me where I saw violence in Hebron? That’s like asking where I saw Hebron in Hebron. It’s really at every corner. You just leave your post and you’re already on the street that separates people according to their ethnicity or nationality, or whatever whitewashed language is used to justify what’s going on there. There aren’t a lot of places in the [occupied] territories that I think it’s OK for them to be called apartheid, because I think it’s simplifying and one-dimensional, because the situation in the territories is really complex. 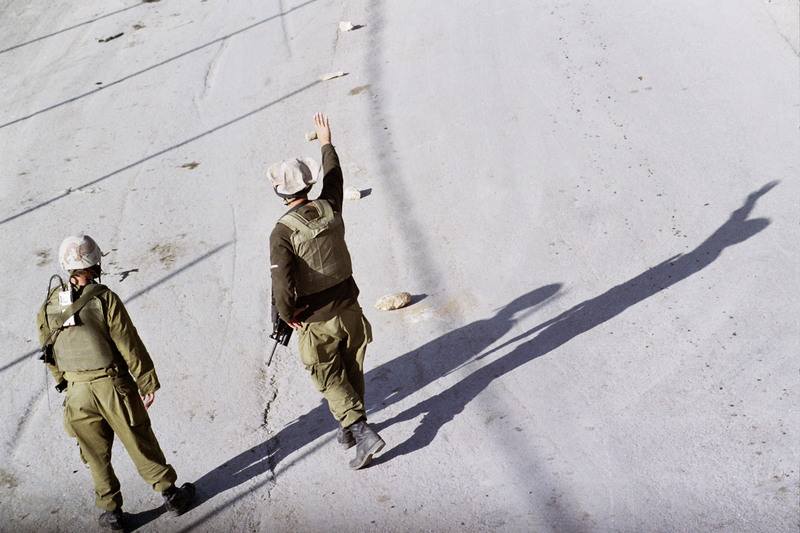 But in Hebron it’s… I don’t know, I call it "apartheid light." It’s not that I walk around with dogs and hit old ladies all day and do what I please, but it’s very clear where Jews can pass, where Arabs cannot pass. It’s very clear who the army is working for, and it’s not for the Palestinian population. The mission there is not to maintain order; the mission there is to enforce Jewish supremacy in the city of Hebron. It’s not that we soldiers are between a hammer and an anvil, [but rather] we are the hammer being hurled at the Palestinians by the settlers.